While some may dismiss Putin’s comments as mere Russian propaganda, a January 2018 World Economic Forum survey of 1,000 leaders from government, business, and other industries identified nuclear war as one of the top threats we face. 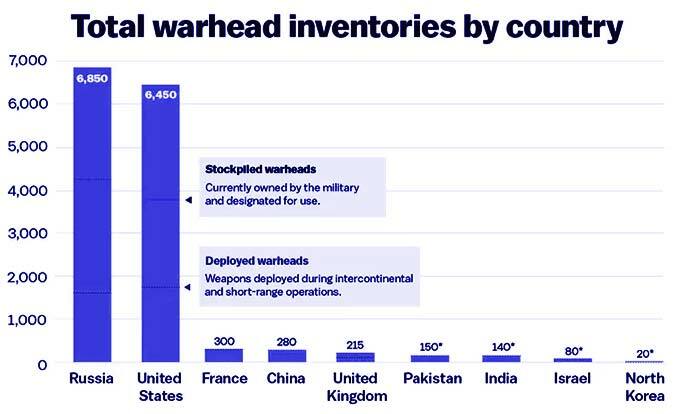 While only nine countries are known to possess nuclear weapons, terror organizations across the globe are feverishly trying to get their hands on nuclear materials to launch what they see as the ultimate attack on the West. 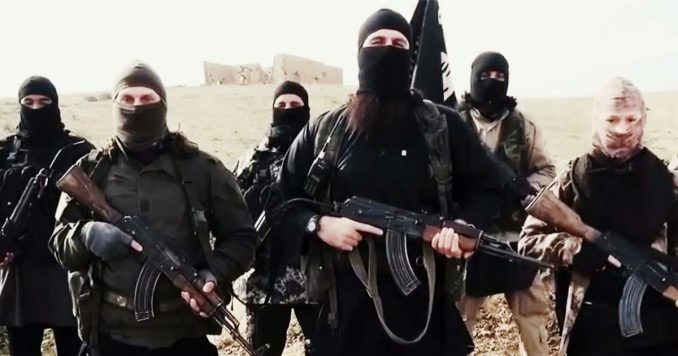 According to a German journalist who successfully embedded himself with an ISIS terrorist cell, the terror organization is actively trying to get its hands on nuclear weapons so they can fulfill their vision of wiping ‘several hundred million people’ off the face of the earth. In 2015, the terror group allowed Jürgen Todenhöfer to follow them after reading several of his past pieces, which blamed the US for the problems in the Middle East. Because of his critical view of the West, ISIS gave him unprecedented access and allowed the reporter to spend ten days embedded inside the terror organization. After returning home, Todenhöfer released a book ‘Inside IS – Ten Days In The Islamic State.’ In his book he details how ISIS is actively trying to acquire nuclear weapons, to launch a ‘nuclear tsunami’ against the west and anyone who is not a true Islamic believer. “They now control land greater in size than the United Kingdom and are supported by an almost ecstatic enthusiasm the like of which I’ve never encountered before in a war zone. “Every day hundreds of willing fighters from all over the world come. “The beheadings have been established as a strategy which they wanted to spread fear and terror among their enemies. This worked well – look at the capture of Mosul taken with less than 400 fighters! While many dismiss the possibility, the fact is there is a nuclear arms race heating up in the Middle East – one that could eventually give ISIS the nuclear materials they need to stage an attack. According to Olli Heinonen, former deputy director of the International Atomic Energy Agency, even before the Obama administration caved to Iranian demands the country was only a couple of weeks away from having enough highly enriched uranium to assemble a nuclear weapon. 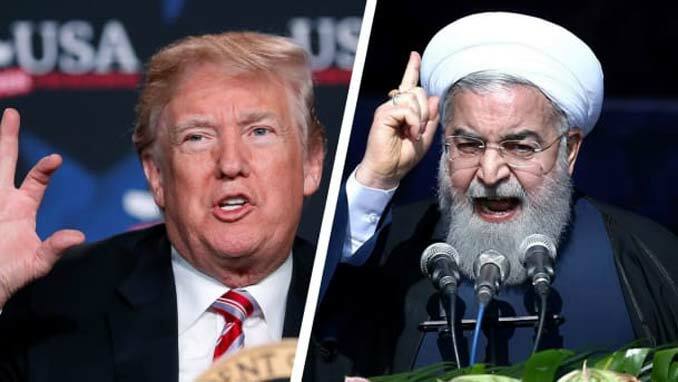 While the Obama administration negotiated the deal, Iran’s top nuclear negotiator, Abbas Araghchi, admitted the deal would do nothing to stop Iran from creating a nuclear weapon. Weeks later, Dr. Peter Vincent Pry, Executive Director of the Task Force on National and Homeland Security and Director of the U.S. Nuclear Strategy Forum, confirmed Iranian Military commanders had endorsed a plan to attack the United States with a strategic EMP blast. If the United States were hit by an EMP the damage would be cataclysmic, and could cause more chaos than a conventional nuke attack. In a matter of minutes, our entire power grid would collapse and everything in our country would come to a screeching halt. Has the Military been Preparing for a nuclear EMP attack? 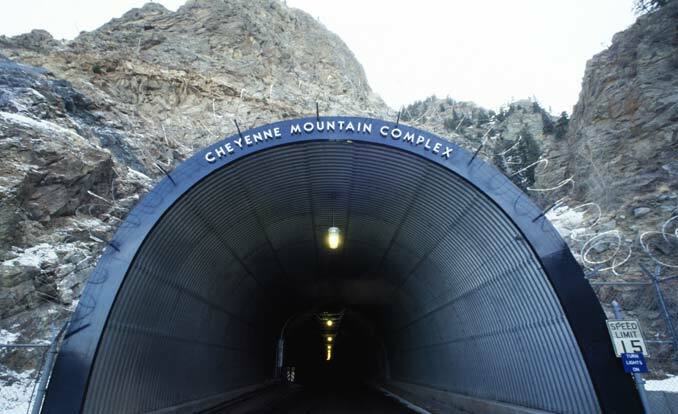 After being largely abandoned by the Pentagon, the infamous doomsday bunker known as The Cheyenne Mountain Complex was mysteriously reopened in 2015. According to Peter Pry, executive director of the EMP Task Force, a bipartisan congressional commission, the $700 million contract to reopen the base was issued to protect sensitive military electronics from a potential EMP attack. DHS warns the public needs to prep for up to six months without electricity! In December of 2018, DHS took the unprecedented step of warning the public that the electric grid was the “prime target” of terrorists, and warned Americans need to be prepared for up to six months without electricity, transportation, fuel, money, and healthcare. Many times over the last couple of years, ISIS has claimed they can easily transport a nuclear device over the Mexican border, claiming they could transport the nuclear weapons in the same way illicit drugs were smuggled into Europe through West Africa. In 2018, The Centers for Disease Control and Prevention (CDC) scheduled a briefing to explain how the public could prepare for nuclear war. 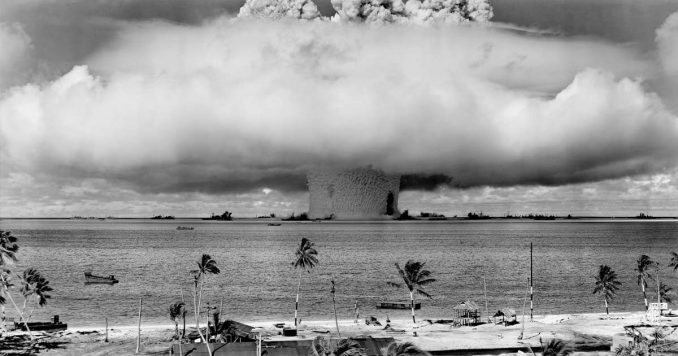 The briefing titled “Public Health Response to a Nuclear Detonation” was meant to prepare the American public for the possibility of a nuclear strike on America soil. Two of the experts giving presentations at the briefing specialized in radiation studies. Robert Whitcomb is the chief of the radiation studies branch at the CDC’s National Center for Environment Health and Capt. Michael Noska is the radiation safety officer and senior advisor for health physics at the Food and Drug Administration. 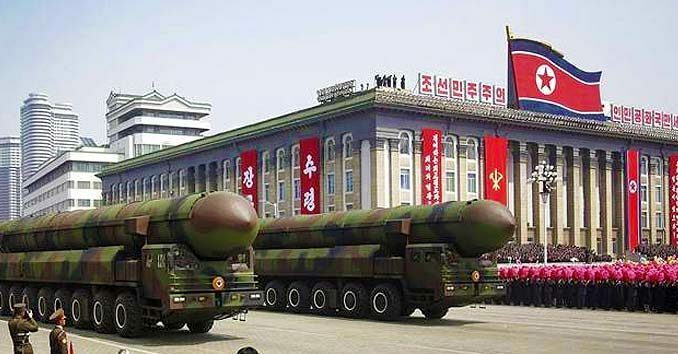 While many have downplayed the threat, claiming that North Korea is now cooperating with the West, John Bolton, former US ambassador to the United Nations and current National Security Advisor, claimed North Korea would not hesitate to pass its nuclear technology to paying customers.He said: “The President was right in the September speech to the UN General Assembly when he said that denuclearisation is the only way forward. 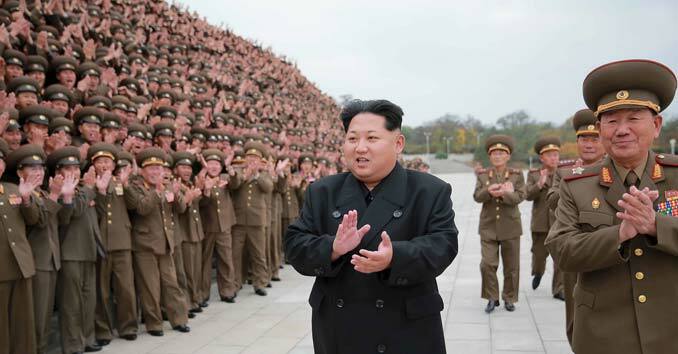 “The north is never going to give up its nuclear weapons voluntarily, we’ve seen that over 25 years. “I think the President has tried to put pressure on China, they have not responded, so we are getting down to some pretty unattractive options. Government officials are quietly acknowledging that they have no way to protect the public from a nuclear blast and urged people to “run into the nearest building” in the event of an attack. New York City has quietly begun removing cold war era nuclear fallout shelter signs saying many are misleading relics that no longer denote functional shelters. Eliot Calhoun, NYC Emergency Management, said: “Most folks, when they think about a nuclear blast, they think about where they need to go. “The first things they see are those shelter signs sprinkled around the city but those have been inactive for decades. This isn’t the first time in the last few years that U.S. officials have taken steps to prepare for the possibility of a nuclear strike. In December 2017, the state of Hawaii announced it would start testing nuclear sirens for the first time since the end of the Cold War. “We should all prepare and exercise a plan ahead of time so we can take some comfort in knowing what our loved ones are doing,” said Vern Miyagi, administrator of the Hawaii Emergency Management Agency, in an interview with the Honolulu Star-Advertiser. While the thought of a nuclear attack may be frightening, as long as your not at ground zero you have a pretty good chance of surviving if you take the right steps. If it’s a lone single blast, those outside the epicenter have a pretty good chance of survival. I advise heading over to our main article on preparedness planning, and make sure you and your family are prepared to survive a long-term crisis. According to the U.S. Government, there are three factors for protecting yourself from radiation fallout: Distance, shielding, and time. Distance – The more distance you can put between you and the fallout particles, the better your chances of survival. An underground area such as a home or office building basement offers more protection than the first floor of a building. If you don’t have a basement, then an interior room without windows is going to be your best option. Shielding – The heavier and denser the materials – thick walls, concrete, bricks, books and earth – between you and the fallout particles, the better. If you can, create an interior room within your room to shield yourself. Time – fallout radiation loses its intensity fairly rapidly. In time, you will be able to leave the fallout shelter. Radioactive fallout poses the most significant threat to people during the first two weeks, by which time it has declined to about 1 percent of its initial radiation level. Any protection, however temporary, is better than none at all, and the more shielding, distance and time you can take advantage of, the better. If you are driving, pull over to the side of the road and head to the nearest concrete shelter. In the case of a nuclear attack, you may have only minutes to prepare — and that’s if the government actually puts out an EAS warning in time for people to hear it. So running makes little sense; hell, you have no idea where it’s going to hit so you could be running right into the blast zone. Your best chance of surviving is getting inside and finding a basement or an area of the building that provides the most amount of shielding, preferably built of brick or concrete, between you and the outside. 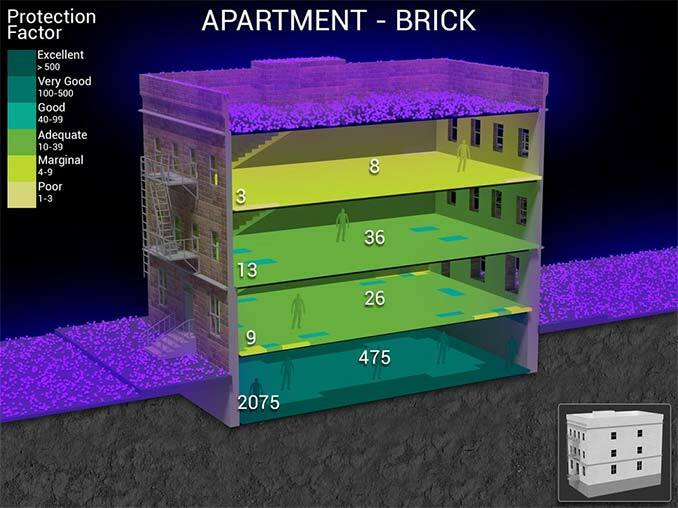 Increasing the distance between you and the exterior walls, roofs, and ground, where radioactive material is settling. Go deep inside: They recommend that people stay put and not try to leave the area. If you are in a car, find a building for shelter immediately. Cars do not provide adequate protection from radiation from a nuclear detonation. Go to the basement or the center of the middle floors of a multi-story building (for example the center of the 5th floor of a 10 story building or the 10th to 20th floors of a 30 story building). Make sure you have a radio nearby ( a Ham Radio is probably your best option) anmd listen for official information and follow instructions provided by emergency response personnel. Based on what is known about the threat, you may be asked to take shelter, go to a specific location, or evacuate a specific area. If an attack warning is issued, take cover as quickly as you can, under a concrete structure or below ground if possible, and stay there until instructed to do otherwise. Expect to stay inside for at least 48 hours unless otherwise told by authorities. If you are outside, and you survive the initial blast, you have around 10 to 15 minutes to seek shelter. That’s roughly the amount of time it takes for the radioactive material to begin falling back to the ground from the mushroom cloud. Do not look at the flash or fireball – It can blind you, this isn’t the time for an Instagram shot! Take shelter as soon as you can, even if you are many miles from ground zero where the attack occurred – radioactive fallout can be carried by winds for miles. Remember the three protective factors: Distance, Shielding and Time. Remove your clothing to keep radioactive material from spreading. Removing the outer layer of clothing can remove up to 90% of the radioactive material. When possible, take a shower with lots of soap and water to help remove radioactive contamination. Do not scrub or scratch the skin, scrubbing to hard could leave scratches and push those radioactive particles into your skin. Wash your hair with shampoo, or soap and water. Do not use conditioner in your hair because it will bind radioactive material to your hair. If you made it this far there is some good news: Radiation fallout from a nuclear bomb decays rapidly. In the first hour, the fallout has given up about half of its energy and in 24 hours, it has given up 80 percent of its energy. Within two weeks after an attack people in most shelters could safely stop using them, or could work outside the shelters for an increasing number of hours each day. Stay away from damaged areas; areas marked “radiation hazard” or “HAZMAT.” Remember that radiation cannot be seen, smelled or otherwise detected by human senses. Rinse all counters, plates, pots and utensils before use to remove any radioactive materials. Food in your refrigerator or freezer should be safe to eat. Canned food should also be safe to eat. Rinse the outside of all packaged food before opening it. Bottled water is the only source that we are certain is free of contamination. Before opening the bottles use a clean towel to remove any residue from the outside of the bottle.